If you’ve invested in a decent mattress, keep it pristine by using a mattress protector. 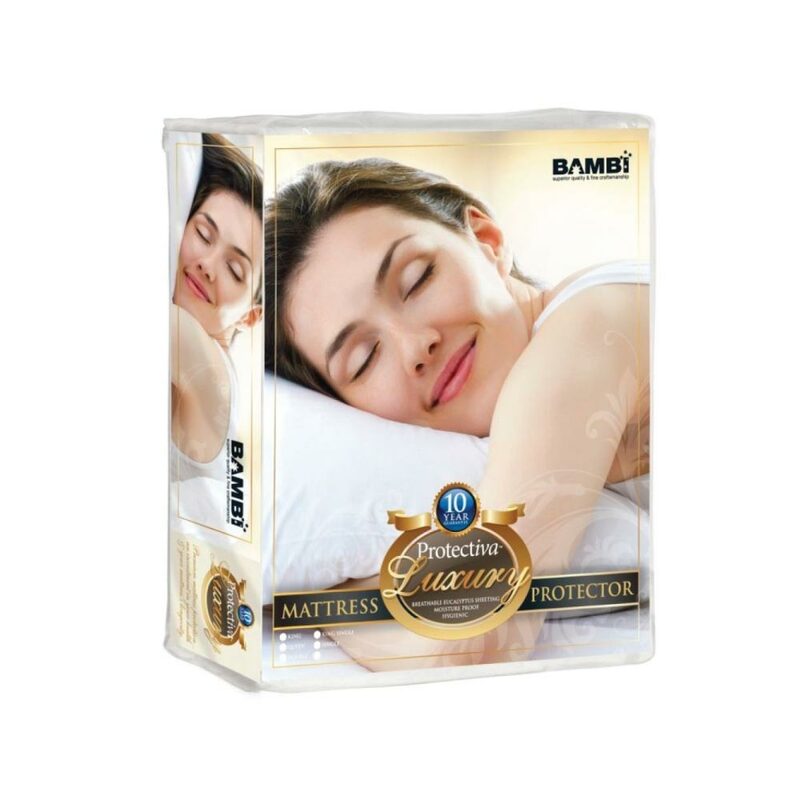 Check out Australia’s best mattress protectors, that suit a range of budgets and preferences. Choosing the right mattress takes hours of research and testing. Once you’ve finally decided, and parted with some dollars, you’ll want to keep that new mattress feeling for as long as possible. Enter a mattress protector. They’re designed for a range of purposes. This includes providing a waterproof barrier between you and your mattress; or adding some quilted comfort alongside protection. Betterbed is committed to helping Australians enjoy great sleep. 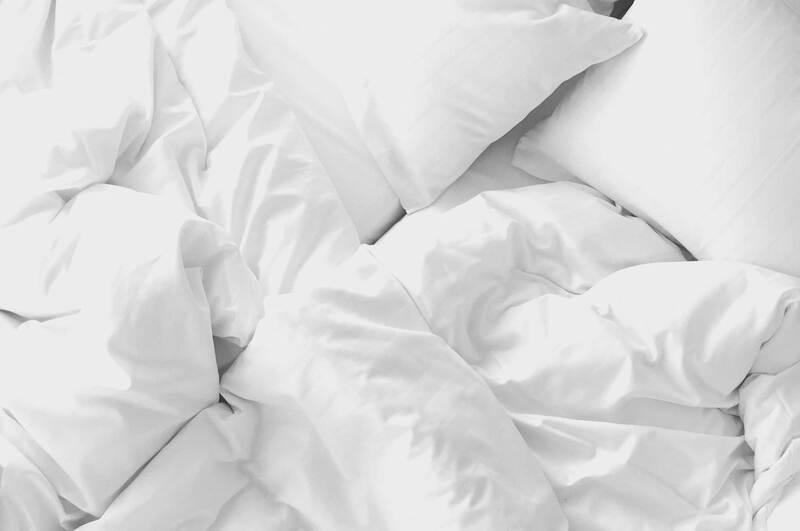 Using impartial opinions and stripping out marketing fluff, we read real-life customer reviews to decide which are Australia’s best mattress pads. We started by reading hundreds of independent customer reviews. From there, we worked out which mattress protectors are most popular in Australia. We then visited the manufacturers’ websites to discover the facts – not the marketing speak. We looked at each protector, judging it against what’s important to you: quality, price, washability, fit and value for money. We then created our own impartial reviews of Australia’s top mattress protectors. Here are our top picks for the best mattress protectors in Australia. Linenspa is an American specialist bedding company, committed to providing comfort and quality. 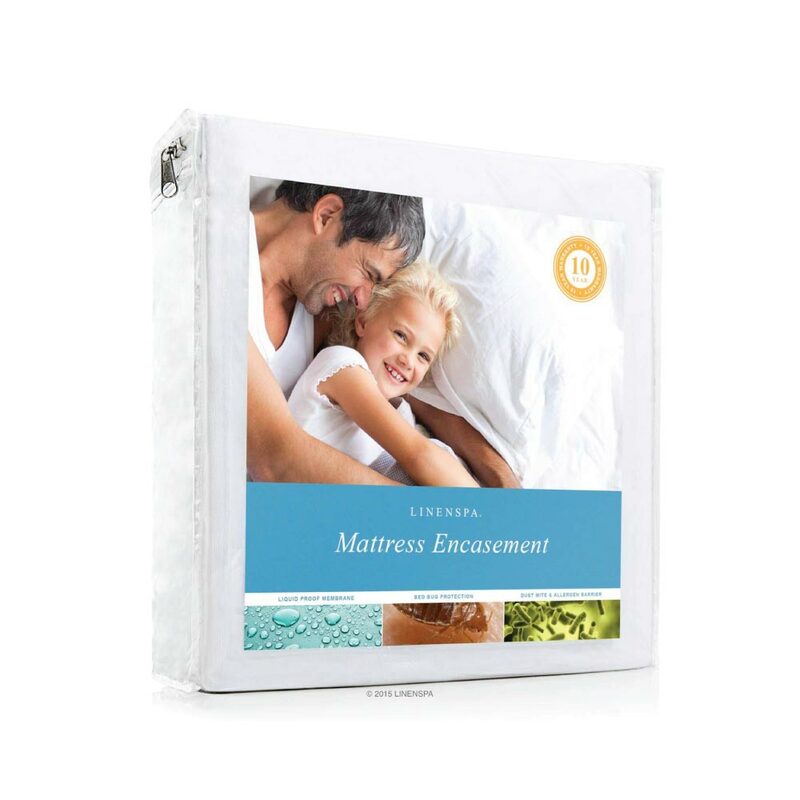 Their Premium Mattress Encasement fully encloses your mattress, making a waterproof barrier that protects your mattress from fluids, spills, bed bugs, dust mites and allergens. The smooth, lightweight fabric is soft and breathable. This makes a cool and comfortable sleep environment – and a quiet one. It guarantees no crinkling sound or plastic feel. The zip ensures a secure fit on your mattress. It’s also easily removable for machine washing and tumble drying. The protector stretches to fit mattresses up to 30cm deep. It comes with a 10-year warranty. Customers love how they ‘can’t tell it’s there’ because it’s so quiet, even with its waterproof layer. They also say it’s soft and truly waterproof. Although it’s our luxury pick, it’s very affordable at less than $100. We like its long warranty and how it fully encloses your mattress for a secure, bed bug-free sleep. Adairs is a leading specialty retailer of homewares and furnishings in Australia. 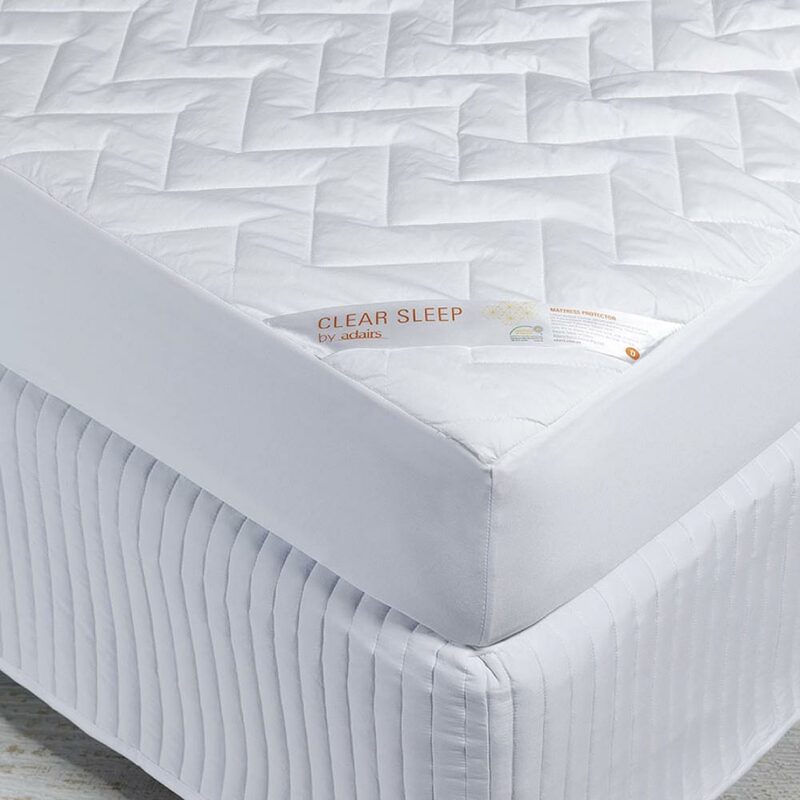 Their own brand Clear Sleep Quilted Waterproof Mattress Protector combines a quilted cotton sleep surface with a breathable waterproof backing. 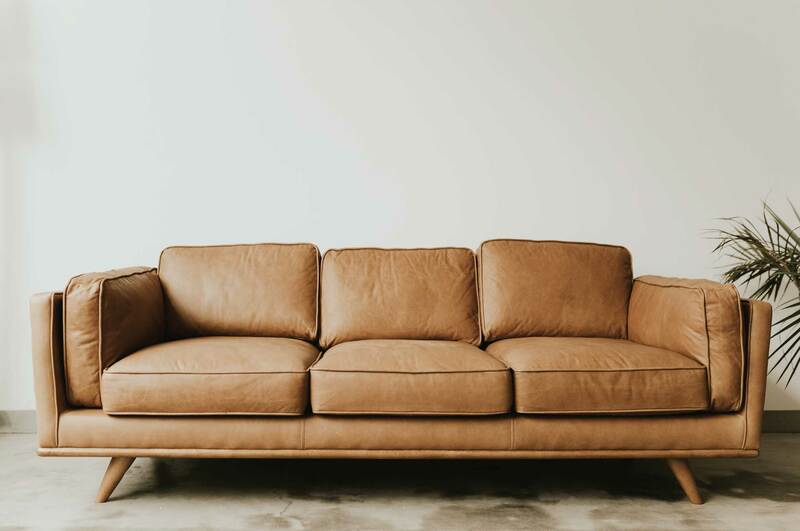 For a plush feel and extra comfort, it includes lofty fibre filling. It’s been treated with anti-microbial protection for a healthy sleep environment. It’s also easy care – you can machine wash and tumble dry it. The waterproof backing protects against stains and spills while the 45cm fitted skirt stretches to fit deeper mattresses. It comes with a 5-year guarantee. Customers say that it’s good quality, protects well and is comfortable. We say the slightly high price point is justified because of the quality and comfort it provides. Bambi is an Australian owned and operated family company and one of Australia’s leading manufacturers of quality bedding. They claim that their Protectiva Luxury Waterproof Tencel Mattress Protector is breathable, waterproof (including waterproof sides), hypoallergenic, washable and offers stain protection. Its waterproof breathable membrane guards your mattress against dust mites, mould and bacteria. Yet it’s soft and crinkle-free for a quiet night’s sleep. The mattress protector is covered with Tencel. This material naturally absorbs moisture and quickly releases it. This helps you have a comfortable and cool sleep. With a 40cm skirt, that stretches to around 55cm, it suits most mattresses. It comes with a 10-year manufacturer’s guarantee and can be gently machine washed and tumble dried. Customer reviews highlight how cool, breathable and quiet it is. We’re fans of the clever technology that ensures it’s waterproof, yet quiet and breathable. Pikapu is an Australian owned and operated family business. Although focused on cloth nappies, they offer a range of baby and children products. The Pikapu Mattress Protector is highly rated on Product Review, Australia’s consumer opinion website. 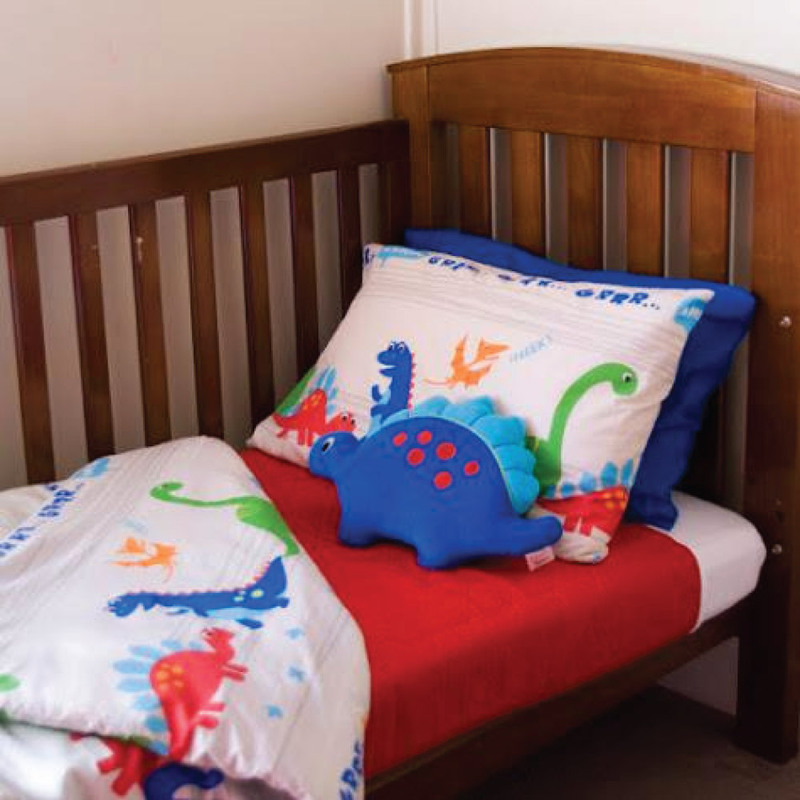 Designed to sit on top of your child’s mattress, it reduces the need to change the sheet after a night time accident. Available in one size and fully adjustable, it fits from a cot to a king single bed. The 100% cotton top layer is good for sensitive young skin. The 100% polyester core is highly absorbent – Pikapu states it can hold up to 2 litres. This core is backed by a water-resistant barrier for additional protection. Featuring a snap-in strap which goes under the mattress, it stays firmly in place, even if your child wriggles around. Customers say that this protector is thick and absorbent, making middle of the night changes quick. They also find it dries quickly, even if you don’t tumble dry it (which you can, low only). We like how easy it makes night time changes, and the clever strap for a secure fit. Protect-A-Bed is the world’s number one selling mattress protector. Some of its products are Australian made and owned. 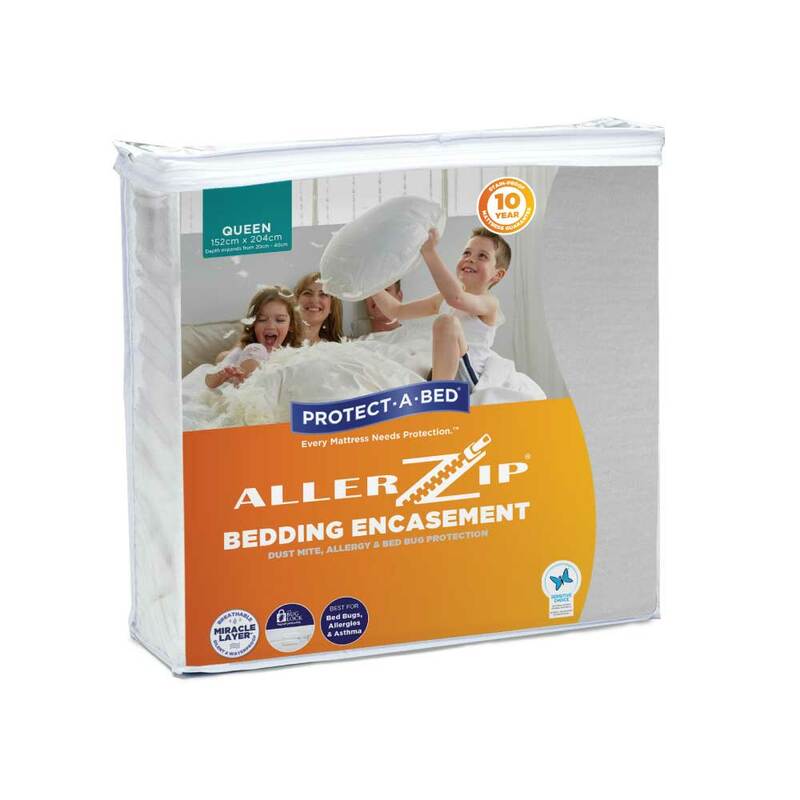 Their Smooth Anti-Allergy Fully Encased Waterproof Mattress Protector fully encases your mattress. This provides complete protection against bed bugs and allergens. It’s dust-proof and bed bug entry / escape proof. Although highly protective, the waterproof layer is intended to be silent. This ensures a comfortable and breathable sleep. Available in single to king, extra depth is also available. It can stretch to mattress depths of 40-50cm. Customers enjoy the labelling that tells you which side goes on the foot of the bed, to ensure the correct fit, and how effective it is at reducing allergies. We like that it’s approved by the National Asthma Council’s Sensitive Choice Program. This gives us confidence that it delivers on its anti-allergy promises. 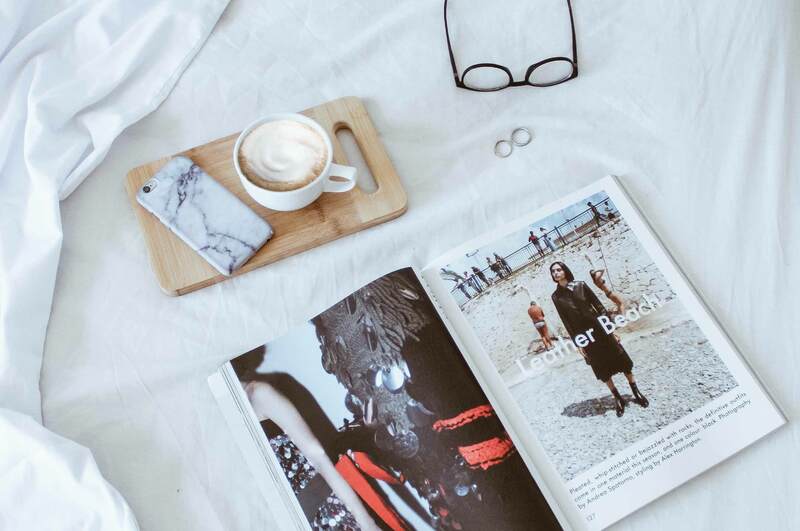 Australia’s largest department store chain, Target aims to make quality affordable for everyone. Their Fully Fitted Mattress Protector embodies this aim. It ranges between $20 - $35, for sizes from single to king. 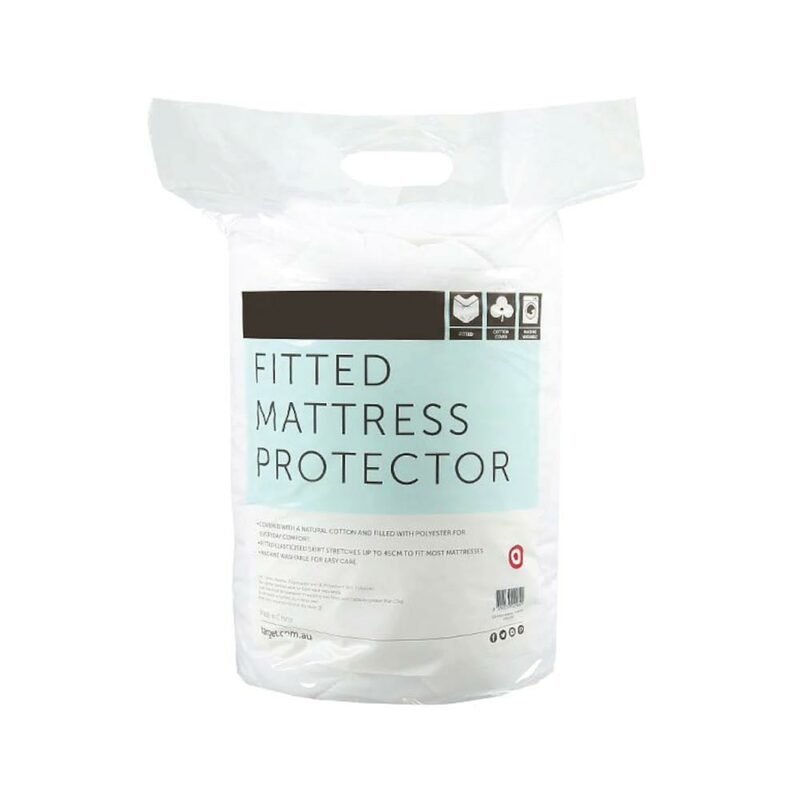 Filled with polyester for slight cushioning and comfort, the Fitted Mattress Protector is covered with natural cotton. This helps it to be breathable. The skirt stretches up to 45cm. This means it fits most mattresses. Because it’s not waterproof, it avoids the noisy ‘crinkliness’ associated with a waterproof layer. However, it does mean liquid spills will pass through it. It’s also machine washable for easy care. Customers rave about how it’s great quality, a great fit, and easy to wash – making it excellent value for money. We love how it’s an affordable mattress protector that does what it’s supposed to, well! Fully enclosed – this covers 100% of your mattress, including the bottom. You normally open and close this type with a zip. Best for keeping all dust mites and nasty things out, they can be difficult to put on, especially if you have a large mattress. You normally need a hand to put one of these on. Fitted – like a fitted sheet, this protector tucks under your mattress. Elasticated strap – this protector lies on top of your mattress. Four elastic straps wrap around the corners. Because it’s only anchored by thin straps, that can lose their elasticity over time and repeated washing, this type of protector can move around your mattress. For the best results (i.e. keeping your mattress clean and healthy), you’ll need to wash your mattress protector. Look for one that you can machine wash and tumble dry. This will save you time and money on dry cleaner visits. Take care to follow all care instructions. Too high a heat setting can damage your protector’s waterproof layer. Some waterproof protectors come with a distinctive crinkling noise. This could be irritating as you sleep, especially if you move around a lot. If you’re after a waterproof protector, look for one that promises no noise. Not all mattress protectors will fit all mattresses. This is especially true if you have a very deep mattress. Although some of the protectors we reviewed fit up to 55cm, it’s worth double-checking the depth before buying. If you’re looking for an additional comfort layer, it may be better to choose a mattress topper. A mattress protector is, first and foremost, intended to protect your mattress. If comfort’s important to you, consider a thick quilted mattress protector. Look for a good manufacturer’s warranty. This should be at least 10 years. Ensure you read the warranty, register your product and follow the care instructions. 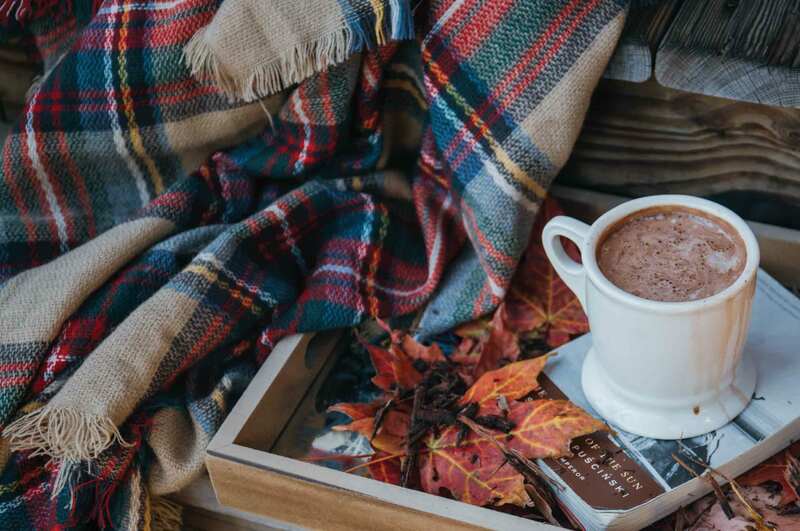 Escape the winter chill with the best quilts, duvets, and doonas in Australia. You don’t even need to step outside – these will all be delivered to your door.